I have the Cathy Collection porcelain doll. She is 1 of 5000; I have number 104. It is practically brand-new and I am wondering what it is worth? These dolls are mass-produced, and the regular-sized ones are $25 or less. A large doll could get $50. 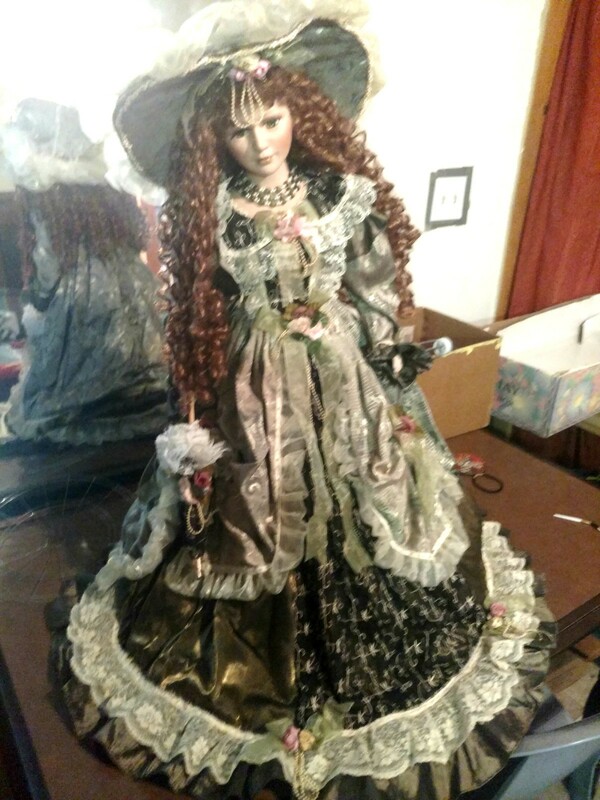 Check on eBay and see if there is a doll "Cathy Collection" listed for sale , this I believe is a mass production and I doubt if it is worth more than $30 to $50 . eBay is the worlds larges seller of dolls, you can get a general idea. Hi, is she a Cathay Collection Doll or Cathy? I am not familiar with the latter. The Cathay dolls are sadly one of the brands that have not held their value. I can't find an exact match to the look. Is she a "tall doll"? I can tell you generally, most dolls of this brand sit unsold on eBay for months in the $5-10 range. Some of the tall dolls sell, but usually for less than $15.